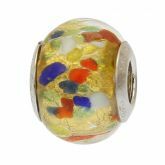 Complement any hair style and outfit with this elegant Murano Glass hair clip, featuring rich colors and infused 24K gold foil in the spirit of Venice's opulent beauty. 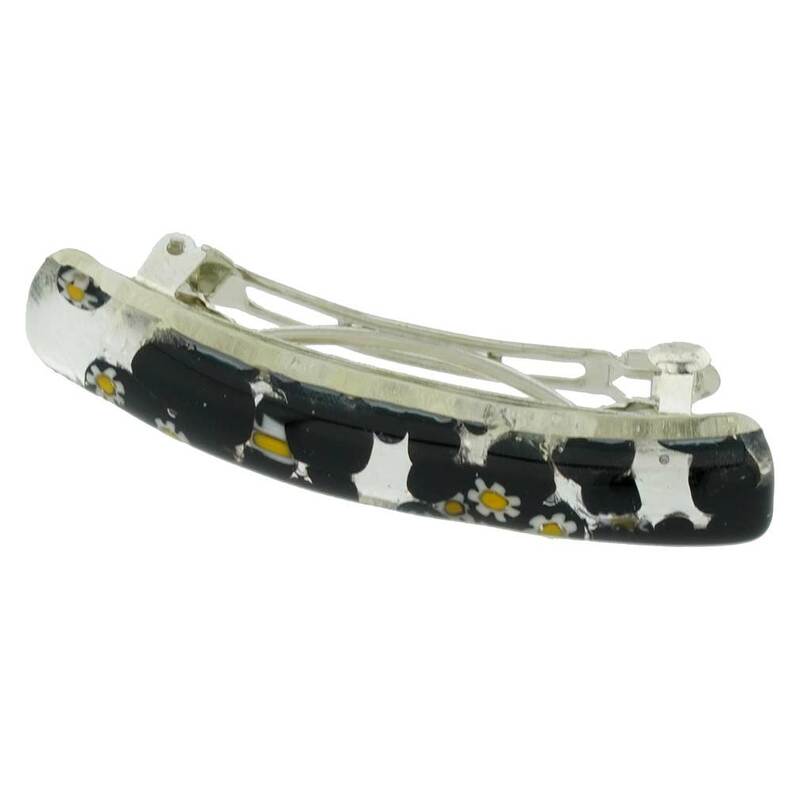 This attractive authentic Murano hair clip is a great way to accentuate your look with Italian fashion-forward style and Venetian artistic heritage. 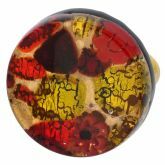 You can even combine this Murano hair clip with our other items from Venetian Reflections Collection collection such as a ring, bracelet, pendants and earrings for a well-coordinated look. 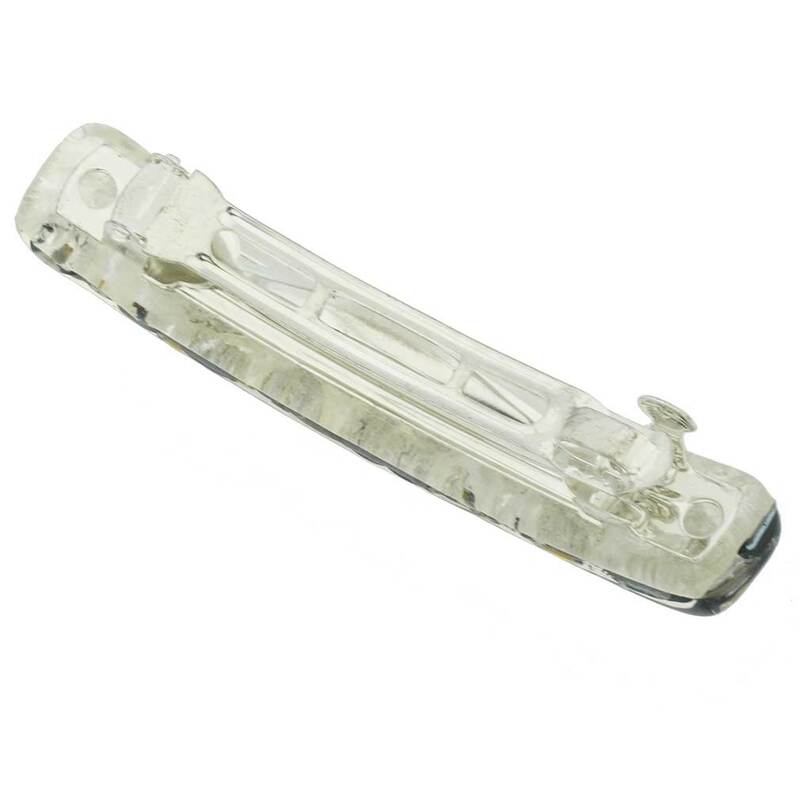 The hair clip measures 2 1/2 inches in length and 3/8 inch in width. It comes with an attractive velvet pouch and a certificate of authenticity. 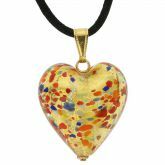 This item is a unique hand-made work of art created using a special glassmaking technique, which results in unique random patterns, such that no two items are the same. 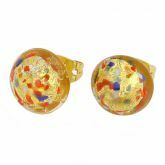 In addition, some variations of colors and patterns, and random inclusions of millefiori mosaic pieces are possible. 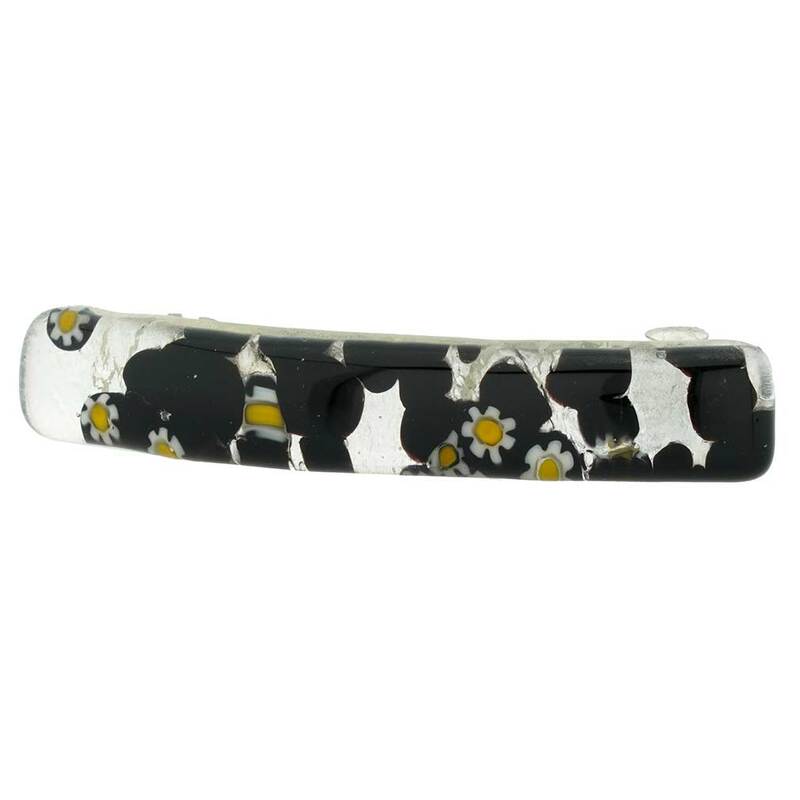 I love my Murano Glass barrettes! They are beautiful and Unique. I'll never buy a cheap barrette again. Just be careful not to drop them, they will break. Thank you for this beautiful product! I have very fine hair and have a hard time finding clips that stay put without causing damage. This clip looks great and stays put. It is perfect for me.